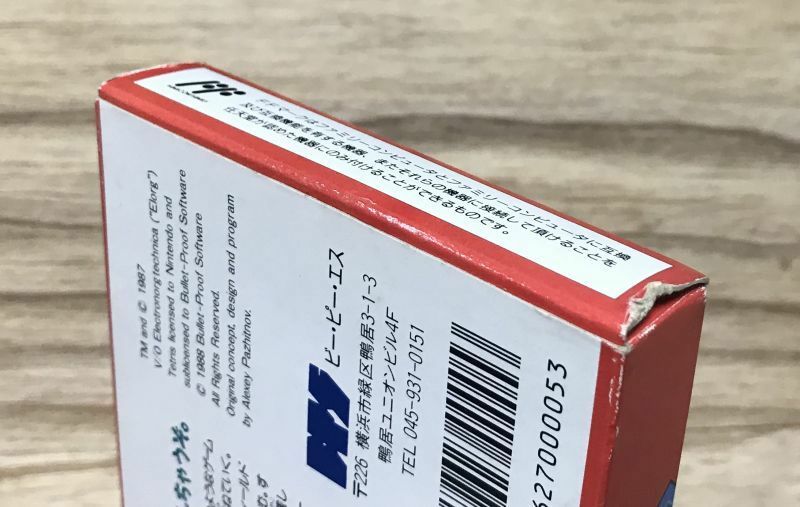 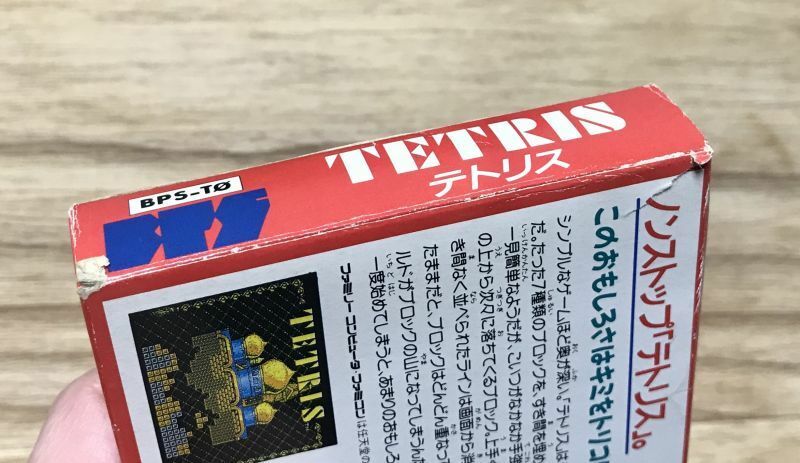 Tetris (テトリス） is the famicom port of the game that started the falling blocks craze. 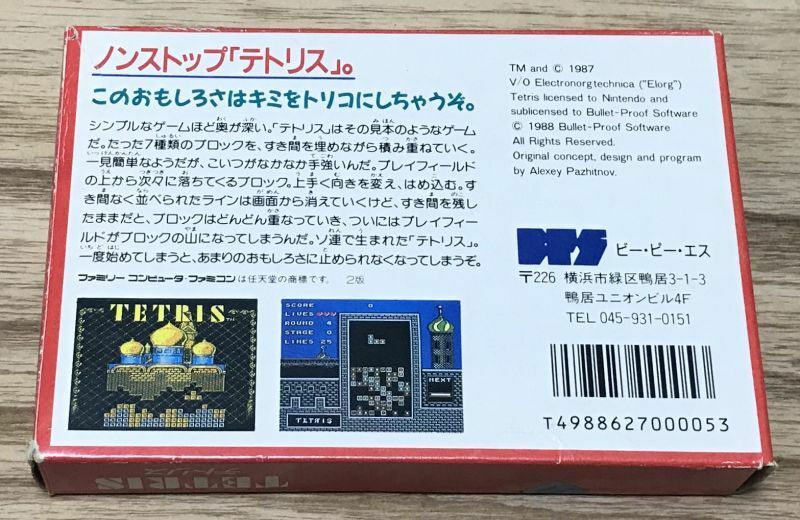 This game is very different from the version released in the US. 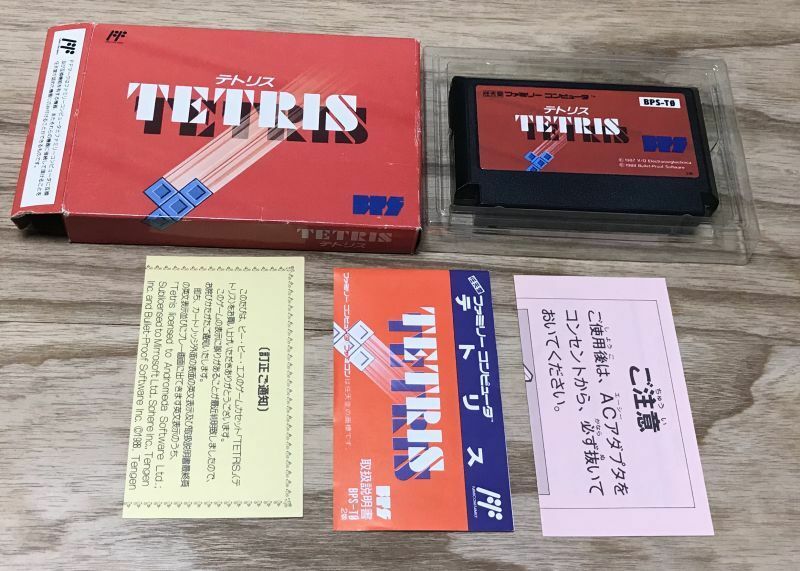 [See the video below] Different enough to be worth owning if you are a fan of Tetris or video game history. 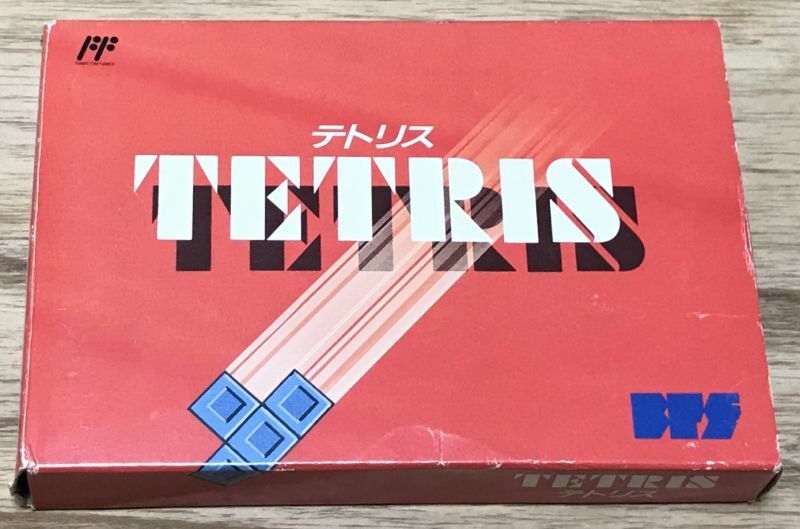 No Japanese skill is needed to play this game.